This table has a beautiful top made from 3 thick teak planks. 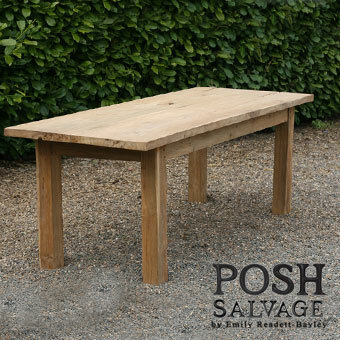 There are some natural features but it is nice and smooth and would make a good indoor or outdoor dining table. Location: Manor Farm, Scarrinton. Viewing can be arranged and more photographs can be sent.